Home All How To's Mobile Apps How to Transfer PDF eBooks to Your iPhone using iTunes? 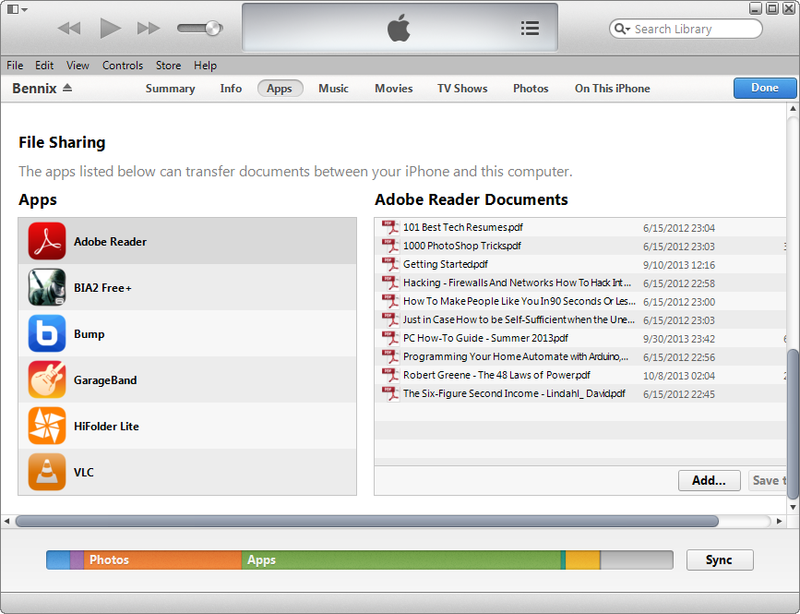 How to Transfer PDF eBooks to Your iPhone using iTunes? 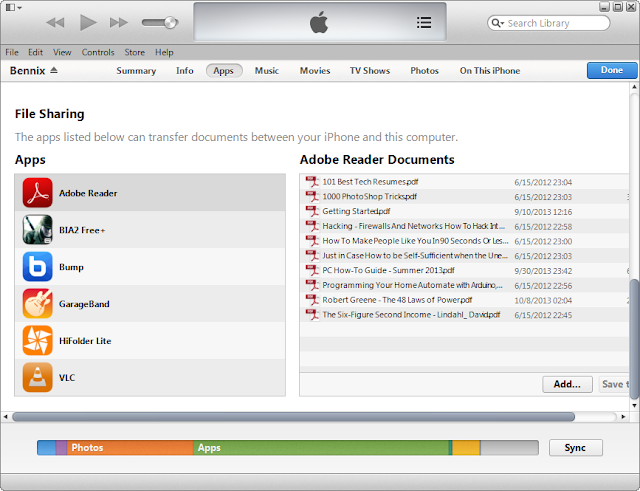 Now, in this tutorial I will teach you how to transfer pdf files into your iPhone using iTunes in just a minute.First, you will need to have an iTunes player installed in your pc and Adobe Reader installed in your iPhone( if you didn't know just access your Apps Store, search Adobe Reader, then click Install). Follow the following steps to continue..
4.You can start adding files to your Adobe Reader by dragging it to the right pane or click the Add button. 5. When done adding files, click Sync button. 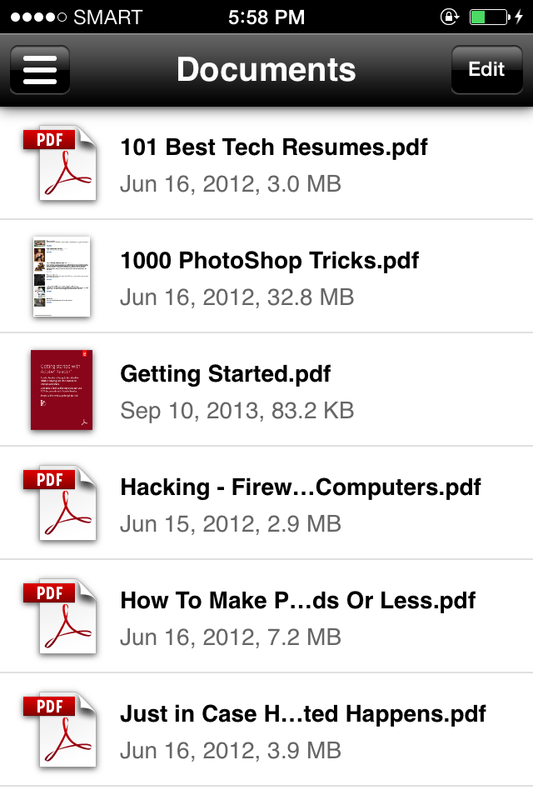 6.Now, in your iPhone open Adobe Reader and click the Documents menu then, you will see all files right there. 7.Enjoy reading your eBooks now!